Thank you for choosing Mighty Bite™. We are dedicated to your satisfaction and for your convenience, we have provided this Site Map. If you should have any questions or comments, please feel free to visit our Customer Service Page. Thank You! How many Mighty Bite™ sets would you like? 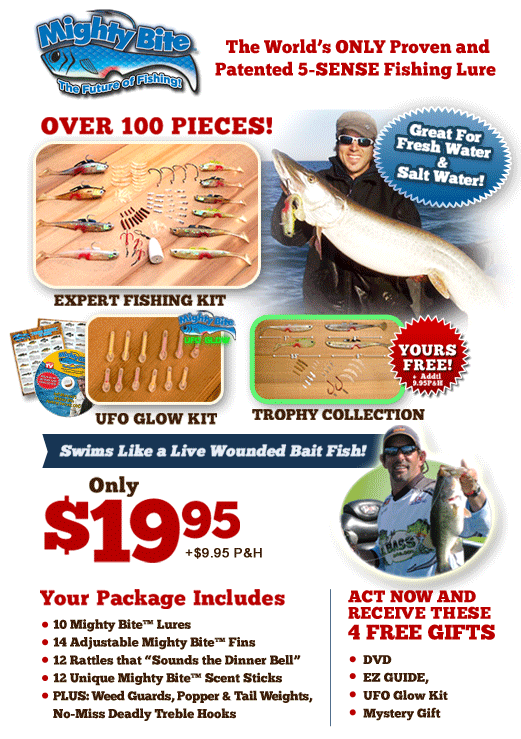 Your complete Mighty Bite™ fishing system contains everything you saw in the commercial, including the expert fishing kit with over 100 pieces for only $19.95 and just $9.95 processing and handling. And as part of this special offer, you'll also receive Jeff Mancini's exclusive "Fishing Secrets EZ Guide" as well as the new 1 hour Fishing Secrets DVD, the Amazing new UFO Glow Kit, AND a MYSTERY GIFT absolutely free - that's 4 FREE gifts! 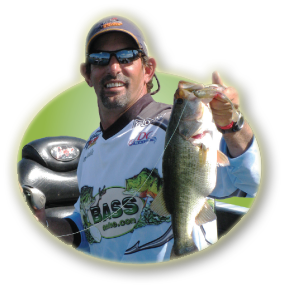 Try Mighty Bite™ for 90 days, an entire fishing season! If you don't catch more fish than ever before, just send back the unused pieces and we'll give you a full product refund! NY residents add sales tax to your total order. Orders from outside the Continental U.S. add $10.00. Continental U.S., AK, GU, HI, PR, VI & Canada orders only. Please allow 2-6 weeks for delivery. ©2019 Mighty Bite™ & Mighty Bite™ logo is a registered trademark of Future of Fishing, Inc. All rights reserved.